Tooth extraction is the removal of a tooth from its socket in the bone. It is a relatively short procedure requiring no hospital admissions.A local anaesthetic injection is given to eliminate pain during the procedure. The decision to extract is taken with your dentist after considering all other options and discussing any medical condition you have. Tooth extraction can be simple or surgical. 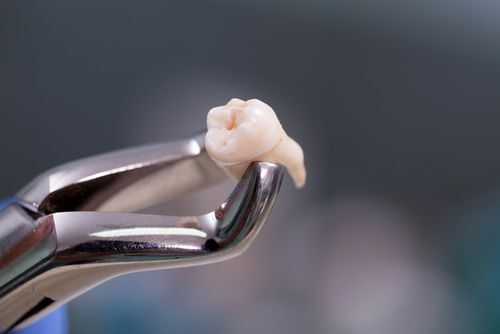 The extraction is surgical and more complex when the tooth is impacted; this means that the tooth has failed to erupt fully. In people undergoing chemotherapy, organ transplant or heart surgery, teeth that could become a source of infection are extracted. The dentist will introduce himself and explain the procedure to you. He will discuss an x-ray of the tooth with you and obtain your consent to extract it. The procedure is relatively short and usually requires no hospital admissions. You will be given a local anesthesia injection to eliminate pain during the procedure. The procedure usually requires a follow-up visit about one week after. Make sure you don’t drive or operate any heavy machinery right after the procedure. Would the procedure be painful? When will the numbness from the local anesthesia injection wear out?